Apple’s High End Devices with Affordable Prices Featuring Dual-Sim. Coming soon from Apple’s shaves this 2018 is three new devices design to meet the need of those interesting in using high end devices with affordable prices featuring Dual-Sim. According to news recently aired on Bloomberg. Apples iPhones, three devices, as we’ve heard before, will include an upgraded version of the iPhone X, “the largest iPhone ever” with a screen size close to 6.5 inches, and a third less expensive model. Despite months of breathless hype, the iPhone X hasn’t sold as well as expected during last year. According to the statistics, Apple sold 77.3 million iPhones in the final quarter of 2017, less than the expected analysts’ projections of 80.2 million units. Most of the consumers who were interested in the device were turned off by the iPhone X’s $1,000 price despite liking the design even as they wanted something which seems more better in cutting-edge than the cheaper iPhone 8. With its next lineup, Apple is seeking to rekindle sales by offering a model for everyone. 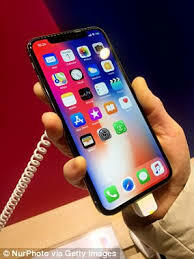 The Apple new devices will feature a screen close to 6.5 inches, these Apple’s big new device are said to be one of the largest mainstream smartphones that will showcase in the market. While the body of the phone will be about the same size as the iPhone 8 Plus. The devices will also features edge-to-edge design same as used in the iPhone X. 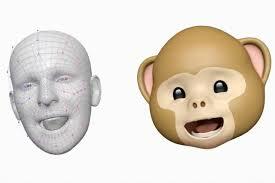 Just Like the iPhone X, the larger model will include a Face ID scanner that unlocks the device and enables payments. Apple is also preparing an update to the regular-sized iPhone X that is internally dubbed D32, people familiar with the product said. Both of these phones are expected to use next-generation A12 processors and will continue to include stainless steel edges, they say, and will be Apple’s high-end smartphone offerings. The giant technology company Apple is considering a gold color option for the update to the iPhone X and the larger model. In some part of the countries, Apple is considering offering a dual-SIM card option for the larger model. That would let people use their phones in countries with different carrier plans without having to swap out cards. Such a feature has been growing in importance and popularity, especially in Europe and Asia where business people routinely visit multiple countries, so then Apple decide to integrate these features in the coming three new devices, although it has not being made official. The device will be running a recent released operating system, probably called iOS 12 and code named Peace, which will include upgraded augmented reality capabilities, deeper integration of the Siri digital assistant, digital health monitoring and the ability to use Animojis in FaceTime. To make these device available and to keep costs down, in the cheaper phone, Apple have decided to use LCD screen technology similar to the type employed in the iPhone 8. It will also have aluminum edges and a glass back like the iPhone 8, not the flashier stainless steel used in the iPhone X. Get Your iPhone 7 Repaired For Free, On “No Service” Issues.